The DUO 2x10" wedge cabinets feature 400 watts as 4, 8 or 16 ohms versions with a sensitivty of 100 dB. This makes it first-choice for club gigs and small venues as stand-alone or for larger venues as additional cab for UNO, QUATTRO or DOUBLE cab. The adjustable tweeter, offering a wide range of smooth highs, enables you to control the hole setup. The 10"-speakers were custom designed for GLOCKENKLANG by the English company VOLT and next to the high sensitivity they offer a big punch with plenty of bottom end. The small and light-weight construction make it a good choice for double-bass players. 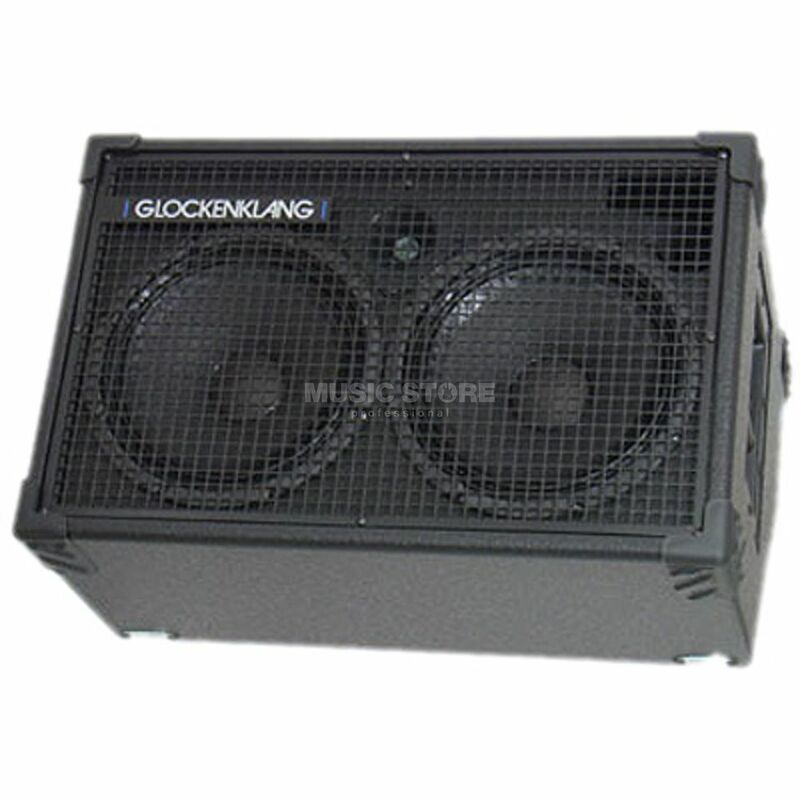 Features: Powerhandling: 400 watts Impedance: 4 or 8 or 16 ohms Sensitivity: 100 dB/1 W/1 m Frequency range: 40 Hz - 18KHz Dimensions: 390 x 595 x 457 mm (15.4" x 23.4" x 18") Weight: 24 kg (53 lbs) !!! 3-year Music Store warranty !!! !!! 30-day money back guarantee !! !